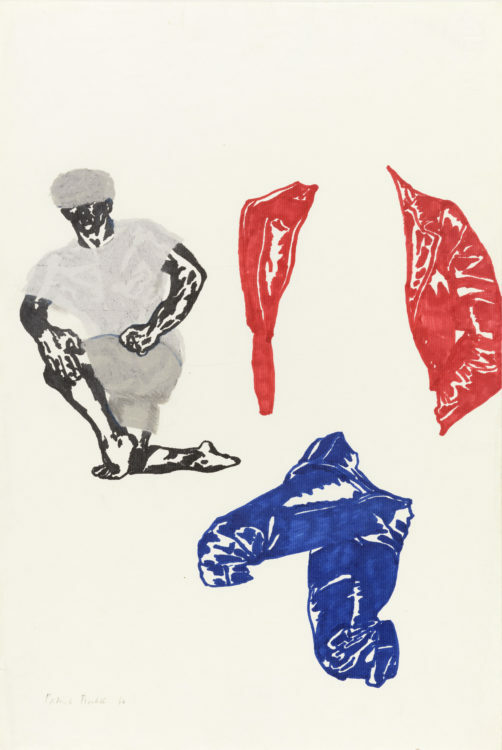 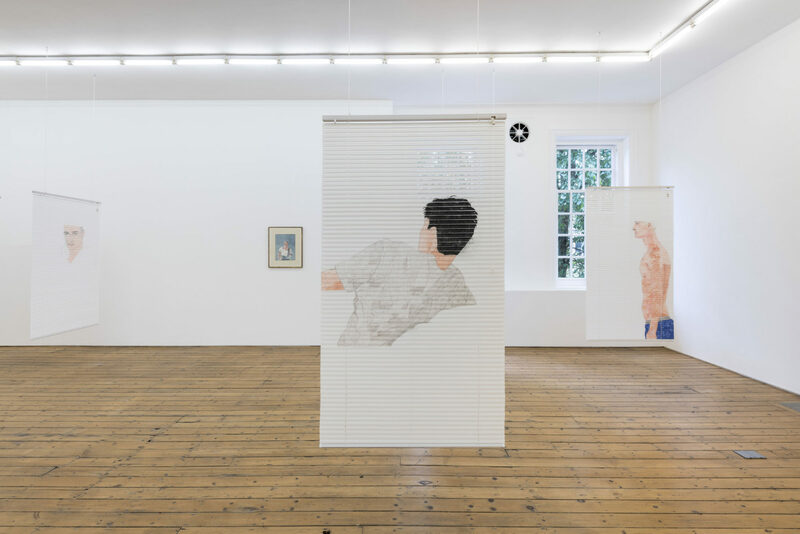 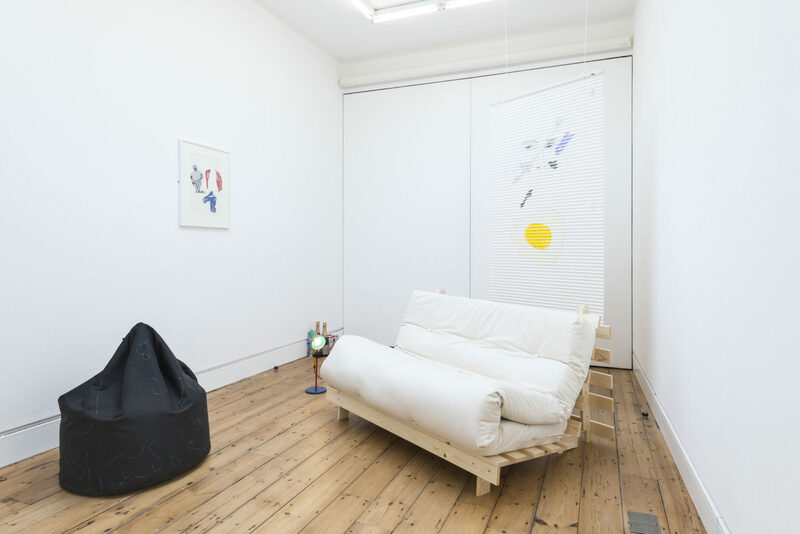 The Approach is pleased to present an exhibition combining the watercolours of the late British artist Patrick Procktor (b. 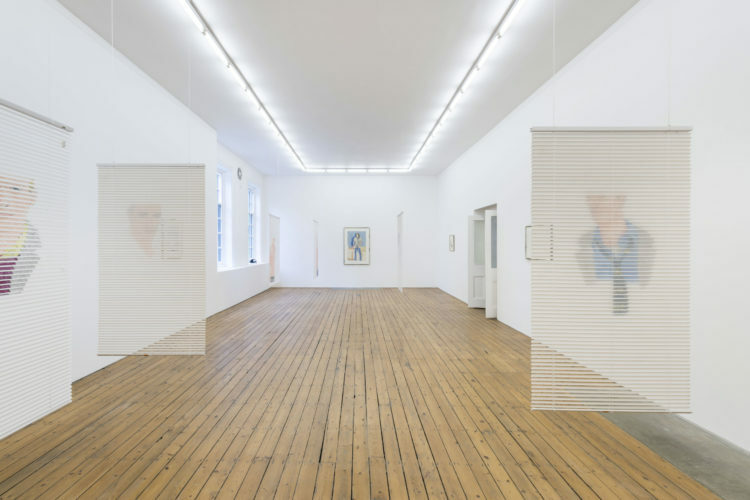 1936, d. 2003) with drawings by London-based artist Neil Haas (b.1971). 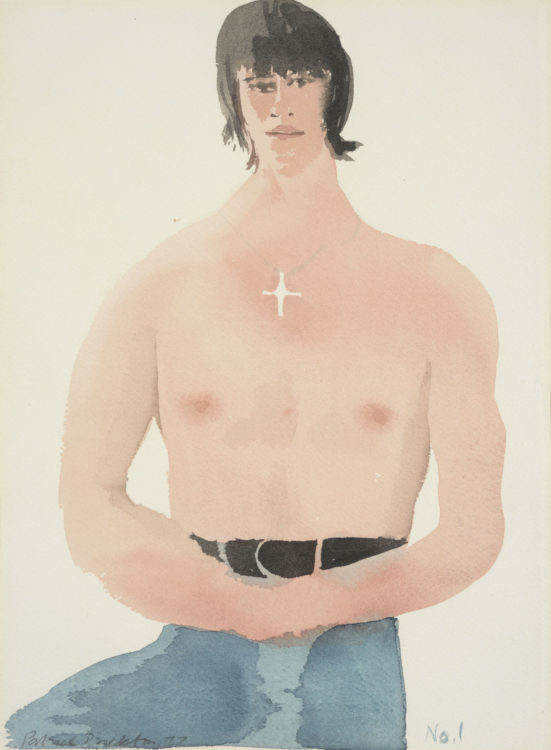 The show will centre on the artists’ shared interest in portraiture, particularly their focus on the male figure. 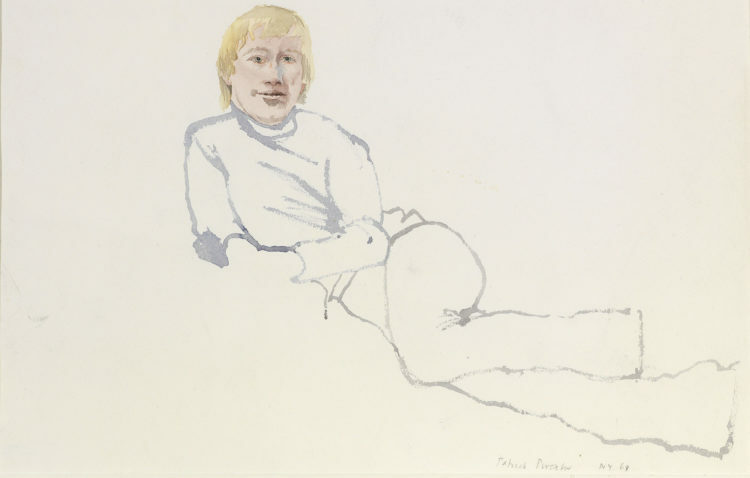 Patrick Procktor quickly rose to fame following an acclaimed sell-out show at London’s Redfern Gallery in 1963. A tall, dandy and flamboyant socialite, Procktor immersed himself into the creative London scene of the time, possessing close friendships with David Hockney, Derek Jarman, Bryan Robertson and the designer Ossie Clark. 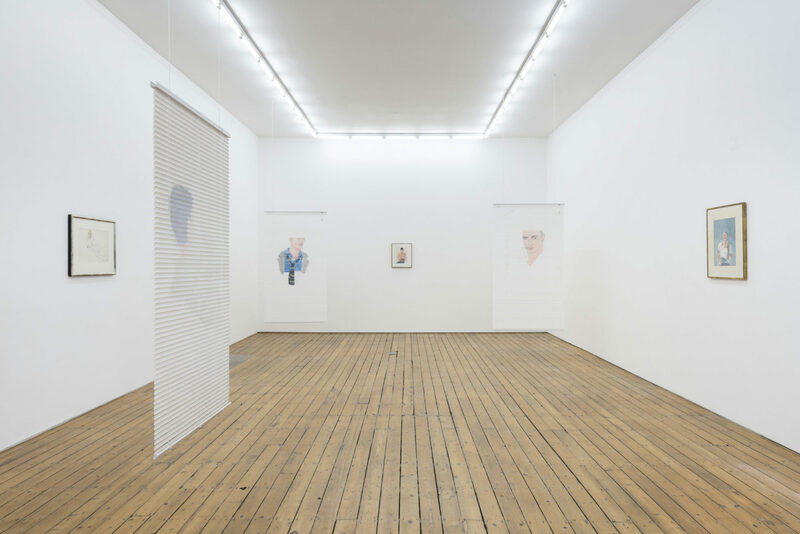 Drawing others into his increasing social circle, many of whom later became subjects in his works, Procktor soon became a prominent figure that effortlessly bridged the hedonistic worlds of art, music and fashion. 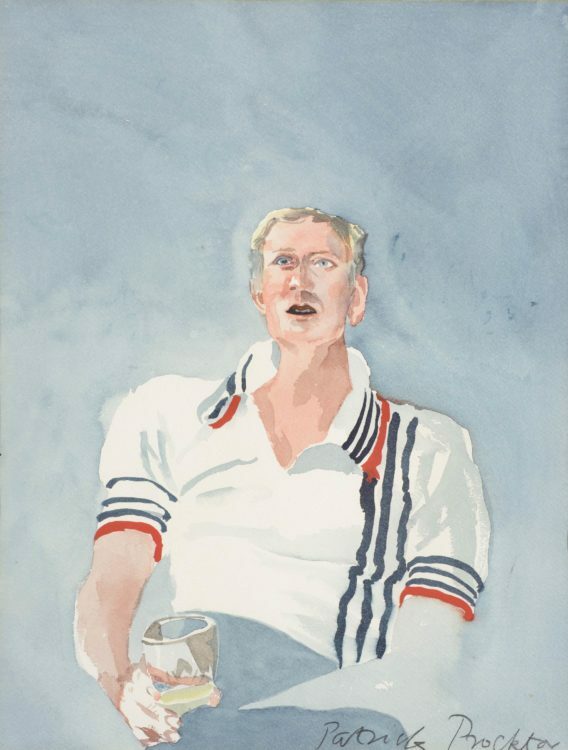 Initially working with both oil and ink, Procktor excelled in the unfashionable medium of watercolour, a technique he took up whilst on holiday in Europe during the summer of 1967. 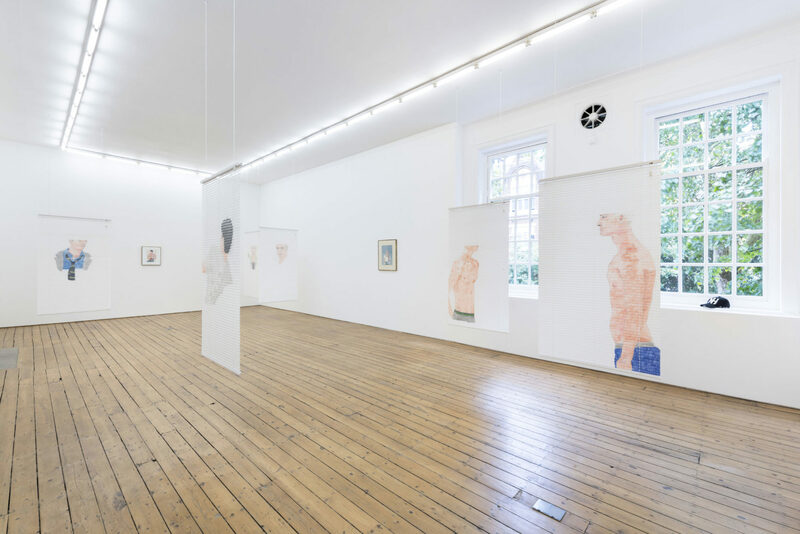 Fascinated by light, Procktor used watercolour delicately to give the impression of figures being illuminated from behind, which was also enhanced by his deft skill of painting in the negative. 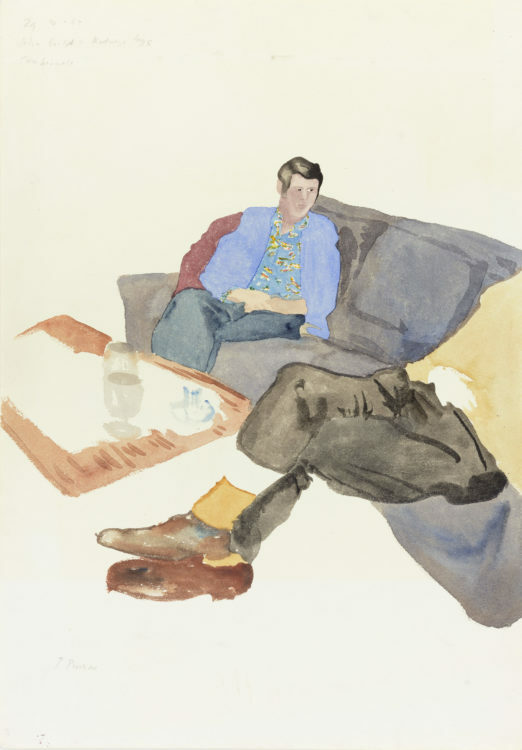 The quickness necessary to execute watercolour freed him from the more laborious method of working with oil on canvas, creating a sensitive and personal approach to painting that seemed at the heart of his practice. 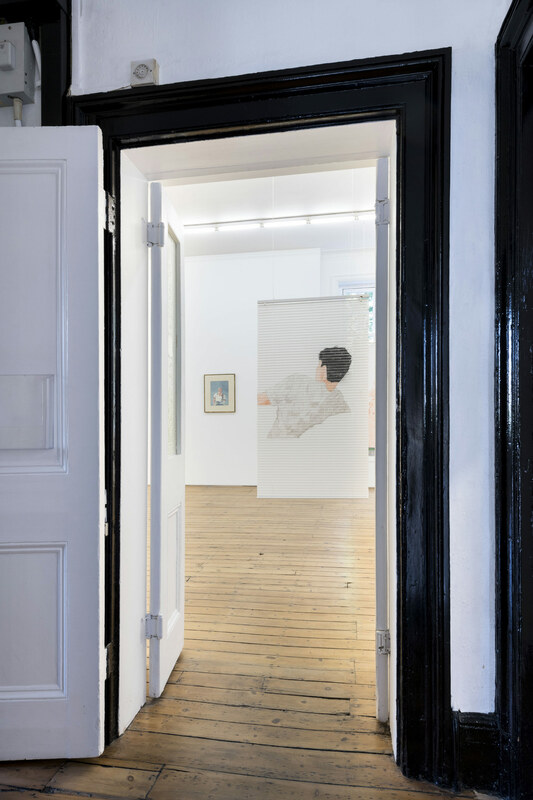 Not achieving the prolonged fame of his close friend Hockney, Procktor’s work become overlooked in later years. 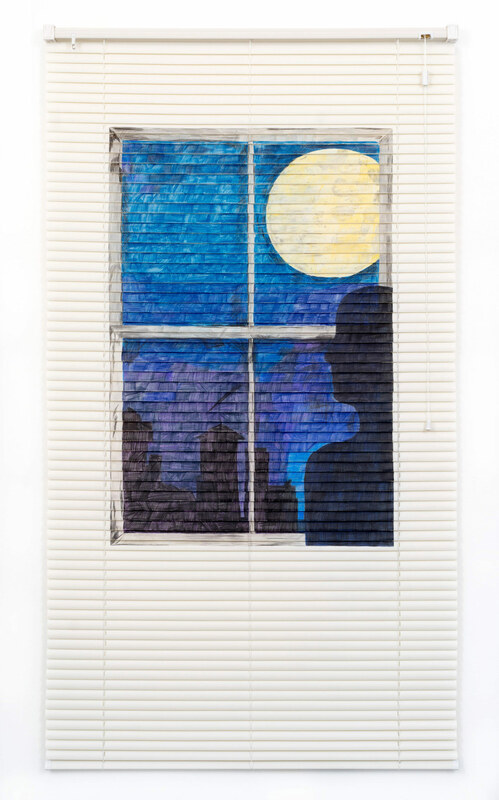 Drink took a hold leading to a disastrous fire at his home in 1999, destroying many works and leaving him impoverished and with declining health. 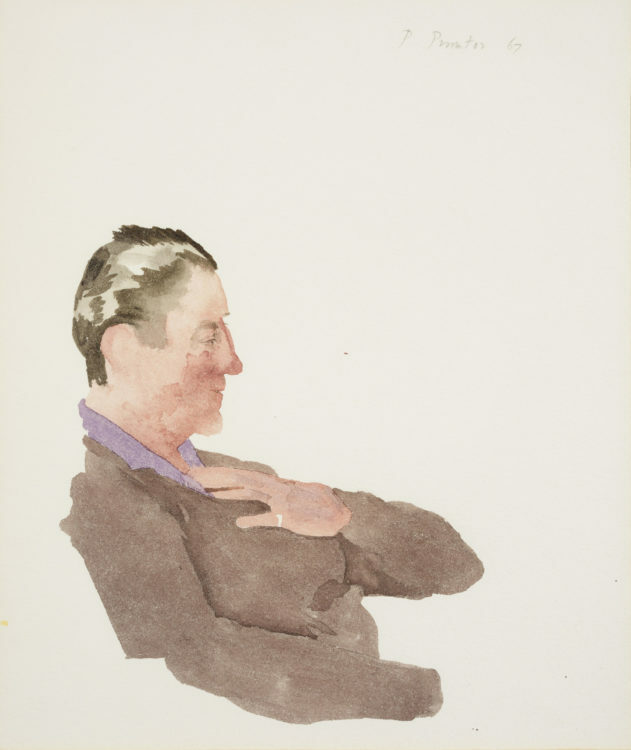 He died in London in 2003 aged 67. 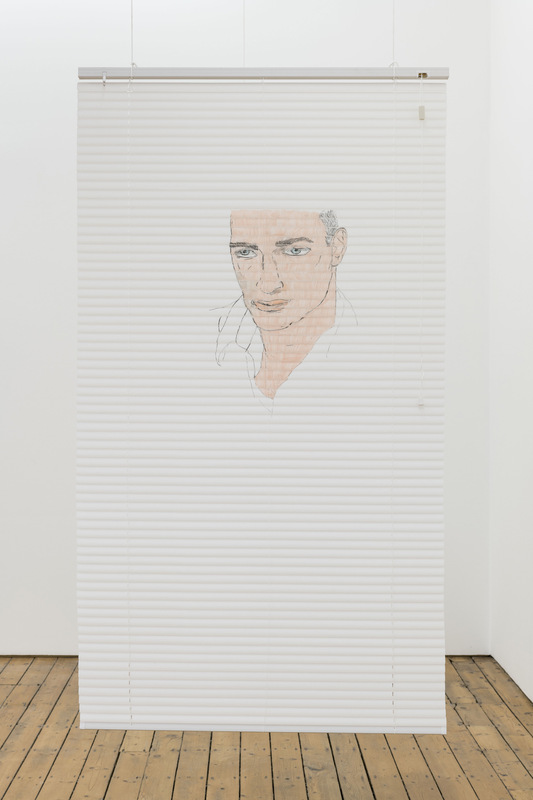 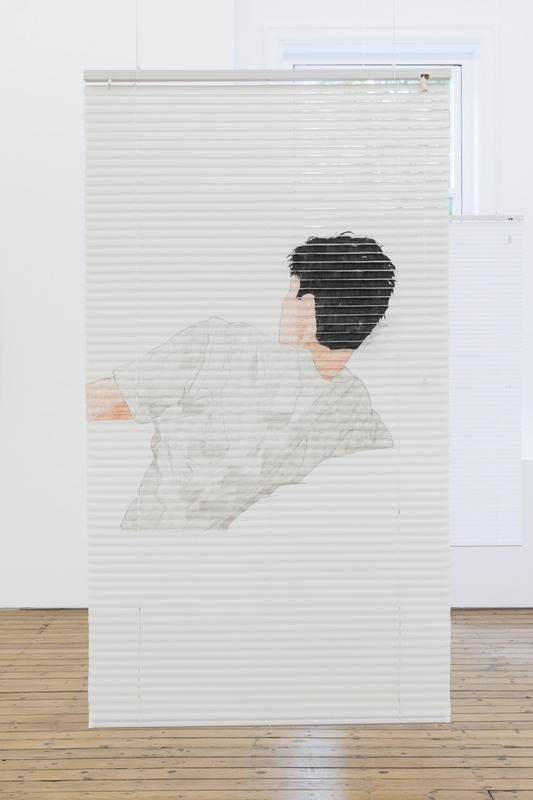 In contrast to Patrick Procktor, whose familiar subjects often sat for the artist, the young men in Neil Haas’s drawings are unknown to the artist, sourced from men’s fashion and lifestyle magazines or simply taken from the internet. 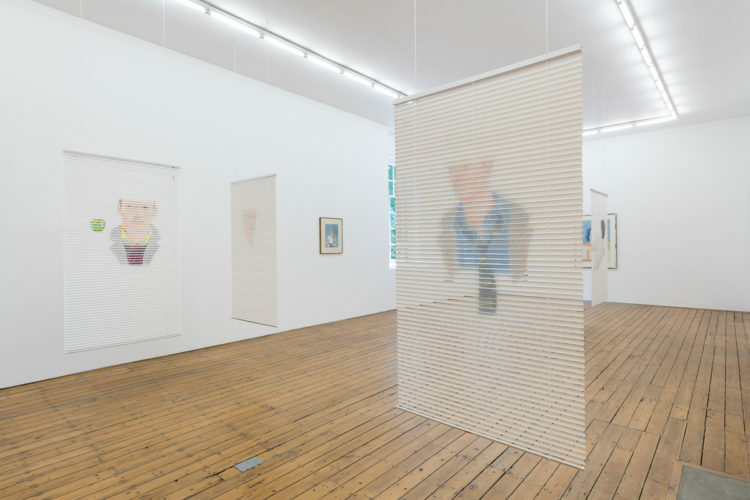 Haas spent his younger years in the small Northern town of South Shields, where he acknowledges a familiar story of experiencing a kind of freedom from looking at fashion magazines, which he saw as a window to another world. 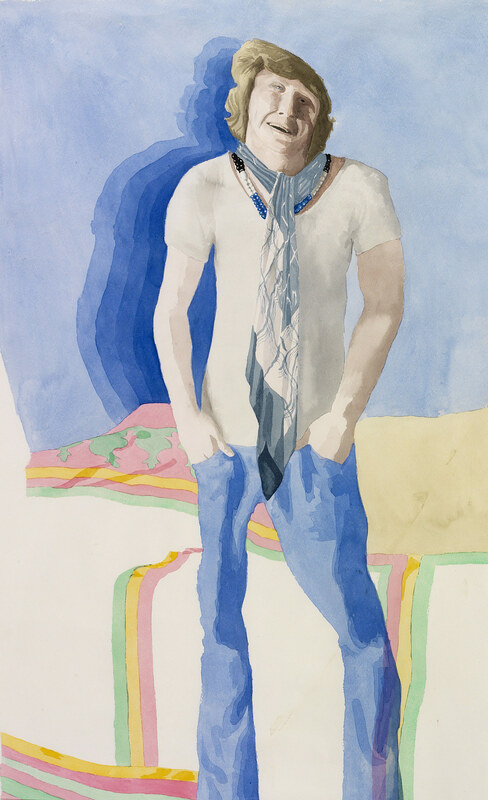 Haas equated the handsome looks of the young men within the covers, to a happiness and desire formed from particular ideals of masculinity. Like Procktor, Haas also works in various media such as painting, sculpture, textile and performance, some elements of which are included in the show. 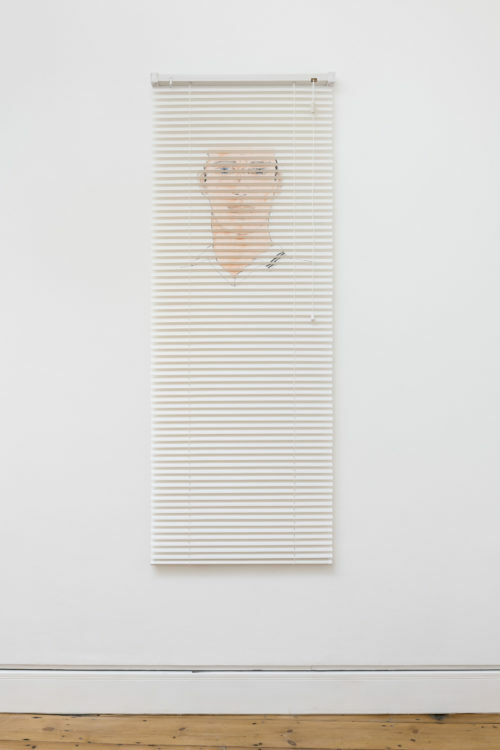 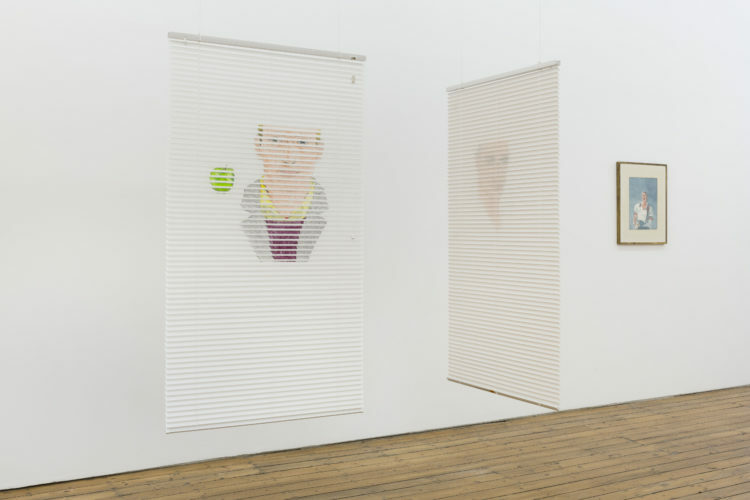 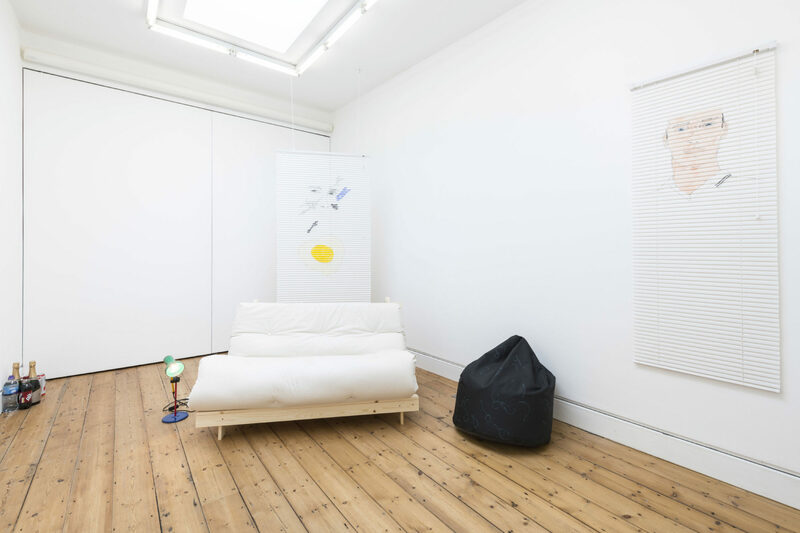 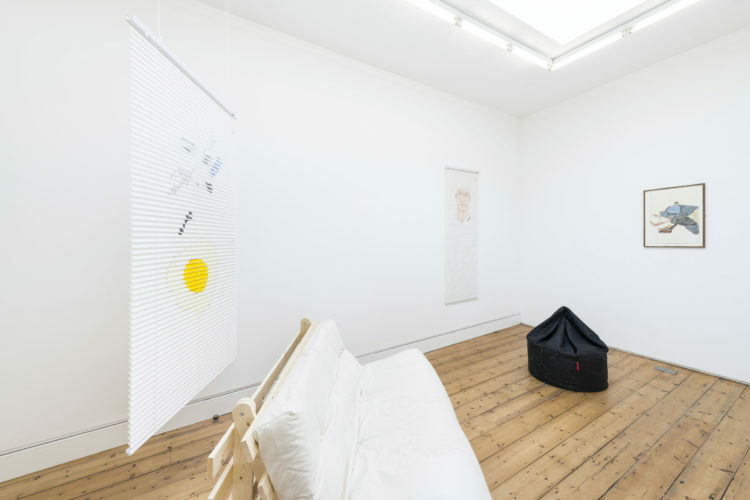 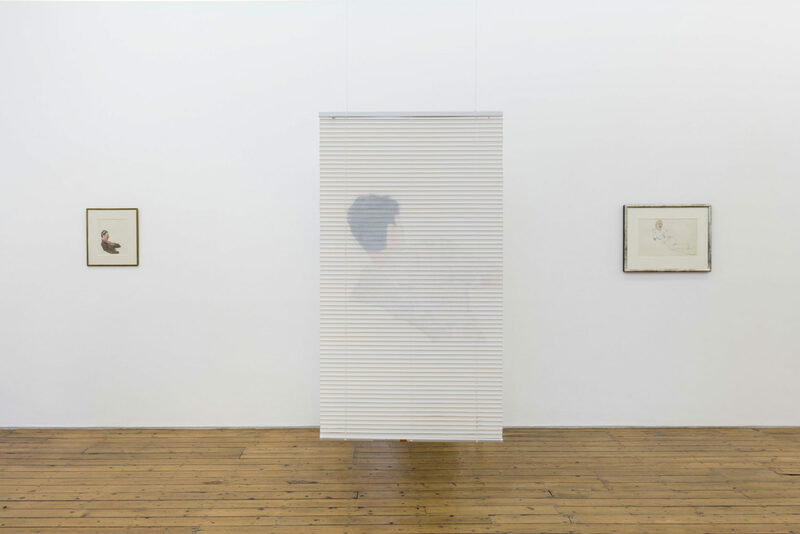 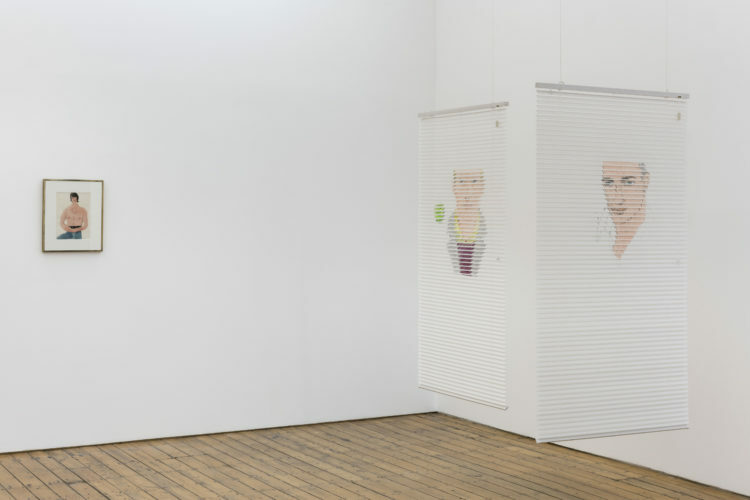 Along with a performance on the opening night and the accompanying paraphernalia left lingering through the show, drawings on plastic Venetian blinds hang from the gallery ceiling. This unusual surface loosely relates to early memories Haas has as a teenager, secretly looking through an obscured bathroom window at a neighbour’s son across the road. 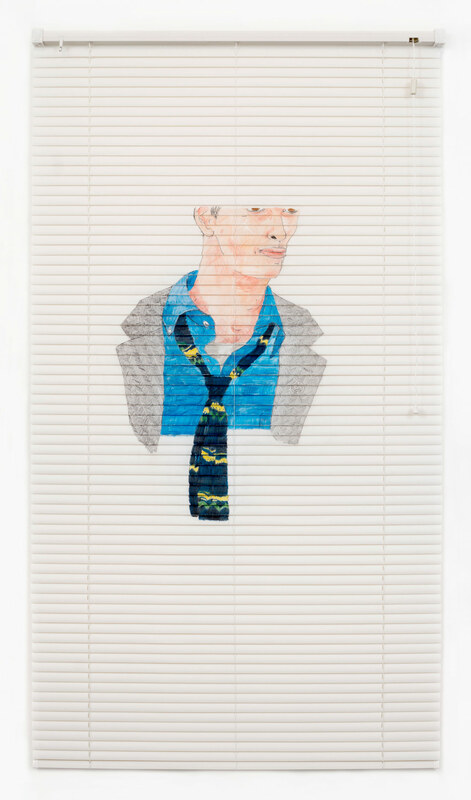 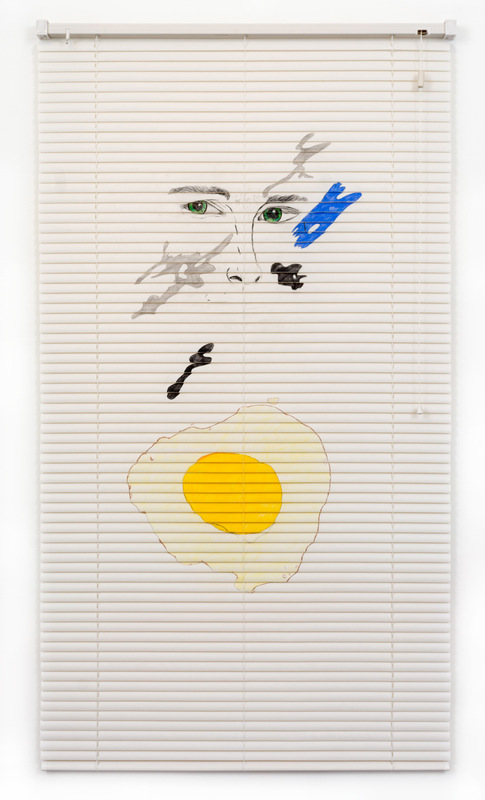 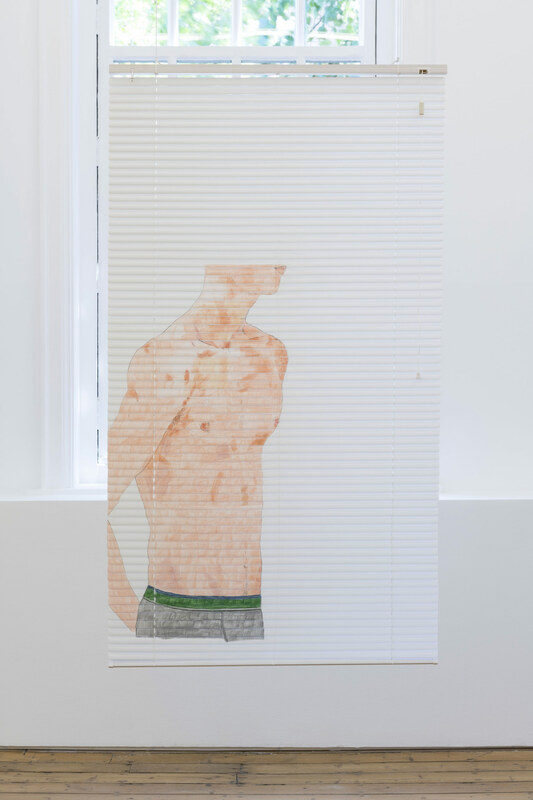 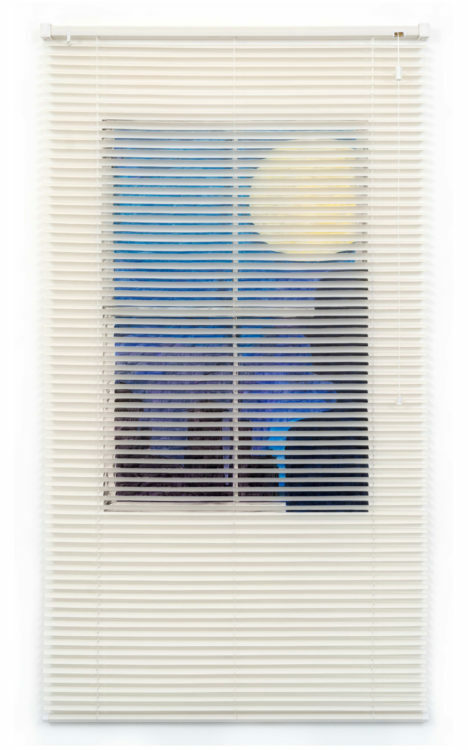 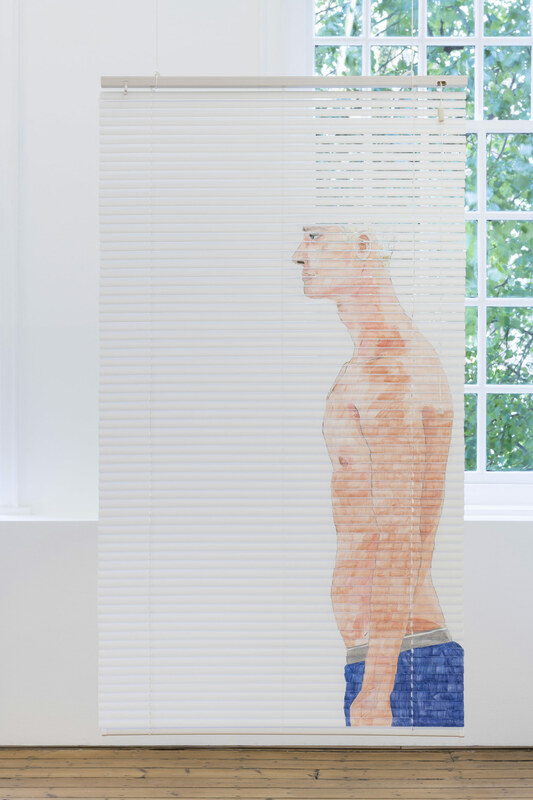 The blinds act doubly as a visual metaphor, at once imitating the original source of Haas’s voyeurism, but also as a device for evoking the fractures or flaws underneath the surface of an imagined and overly idealistic sense of aesthetic beauty. Patrick Procktor was born in 1936, Dublin, Ireland, and died in 2003, London, UK. 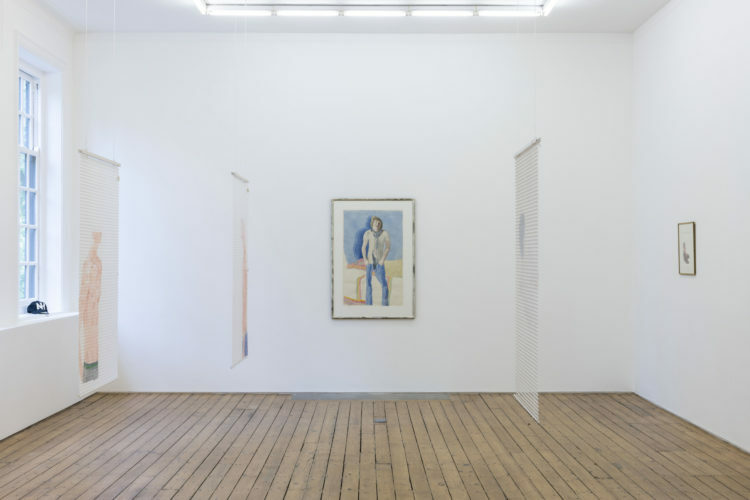 After leaving the Slade in 1962 he exhibited widely throughout his lifetime, and was the subject of a retrospective exhibition curated by Ian Massey at Huddersfield Art Gallery, Sheffield, in 2012. 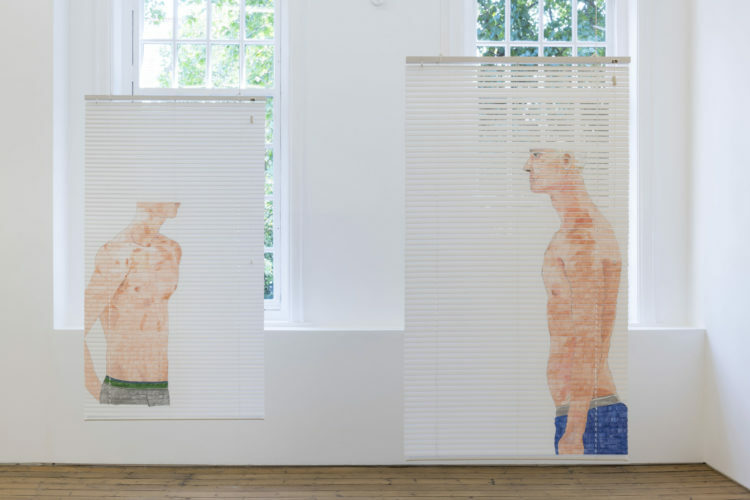 His work is held in the Tate Gallery, MoMA (NY), National Portrait Gallery, Royal Academy, Fitzwilliam Museum, Metropolitan Museum (NY), Imperial War Museum, Government Art Collection and Contemporary Art Society amongst many other institutions in the UK and abroad. 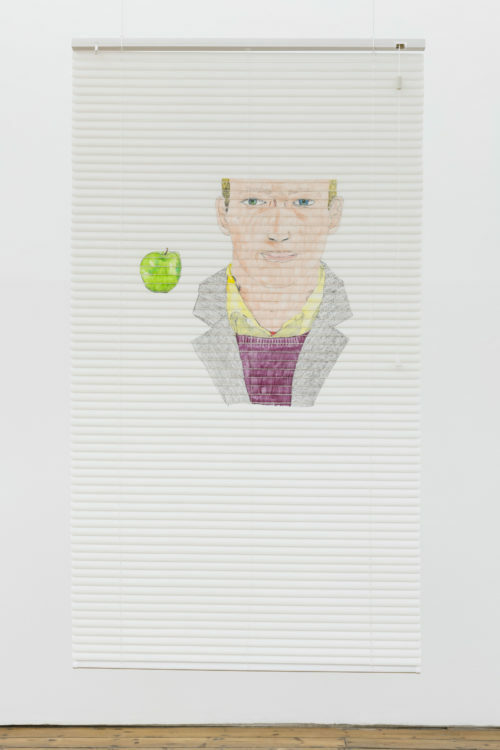 Neil Haas (b. 1971, South Shields, UK) completed his MA in painting at the Royal College of Art in 2014. 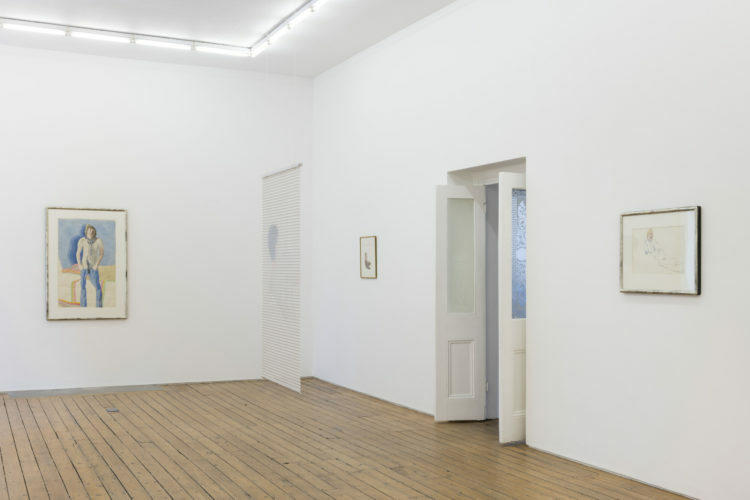 He was recently invited to do a residency at Moly-Sabata / Fondation Albert Gleizes, France, which will conclude in Fleurs Dans La Pluie, a solo exhibition at Musée Estrine à Saint-Rémy-de-Provence this June. His recent exhibitions include Wildflowers, Galerie Iragui, Moscow (2018); I’ve still got it but do I want it, Delf, Vienna (2017); Spunky Clipper, Almanac, London (2017) and Not Really Really, Frédéric de Goldschmidt collection, Brussels (2016).